“My Guardian Angel,” a business idea that could help save children’s lives, was selected by judges to move on to the FastPitch competition in Savannah, Georgia, during the third annual 3 Day Startup (3DS) held Feb. 19-21. 3DS, hosted at Georgia Southern by the University’s Business Innovation Group (BIG), is a world-renowned program that creates a living entrepreneurship laboratory bringing together individuals from various backgrounds and provides students with the tools they need to start successful companies. “My Guardian Angel” is a device in a pad that goes in a child’s car seat and can alert a distracted or busy parent from forgetting their child in a vehicle. This safety device detects weight in car seats and sets off an alarm on the parent’s key fob if they walk 30 feet away. The pad can be transferred from a baby seat to toddler seat, and is durable, washable and potentially customizable. The team consists of six members including founder Layne Livingston, Quinton Boyd, Thomas Carter, John Jones, Jeovannti McKoy and Joseph Watt. Livingston delivered the team’s pitch, acting as a distracted parent juggling many tasks at once to demonstrate how the invention would work. This intensive weekend event was filled with activity including workshops, business idea generation, customer engagement sessions and pitching the ideas to the judges. “My Guardian Angel” will move on to represent Georgia Southern at the FastPitch competition March 4. FastPitch is hosted by The Creative Coast and gives entrepreneurs three minutes to pitch their innovative venture and be assessed by local community leaders, academics and investors. Coaching and Feedback is provided before, during, and after to better prepare you, your idea, and your presentation of that idea. For more information or to get your tickets to show your support please visit https://www.thecreativecoast.org/programs/fastpitch/. Due to the success and quality of the students who participated in 3DS, judges also selected two other teams to go on to compete at FastPitch. Along with “My Guardian Angel,” the teams “Chapter Ease” and “LFG” will also represent Georgia Southern during the competition. 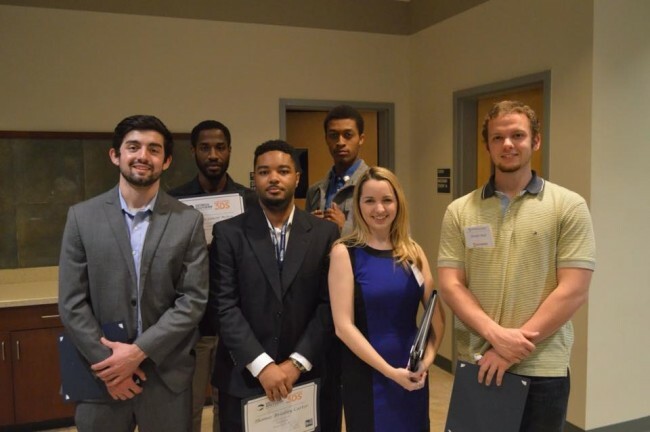 The Georgia Southern University BIG prides itself on its commitment to empower and equip entrepreneurs. 3DS is an example of the commitments BIG makes to create more businesses and jobs in order to sustain the economy. For more information, contact Suzanne Hallman, business advisor, at shallman@georgiasouthern.edu, or visit georgiasouthern.3daystartup.org.